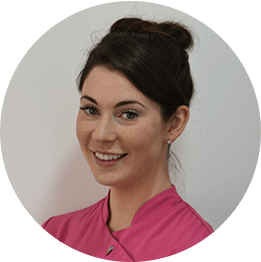 Emma qualified from the University of Birmingham, School of Dental Hygiene & Therapy in 2011. Emma genuinely loves her job, approaching her work days with enthusiasm and motivation. She particularly enjoys seeing how her patients improve their oral health and understanding of good dental health over a period of time. Teeth whitening is another treatment Emma also enjoys, especially when the patients are so pleased with their new gleaming smile. Most of Emma’s spare time is spent at the beach/countryside with her miniature sausage dog, Frank.